"That's my Boy" Collection. My son loves video games and I made this card with him in mind. You can find this cool game controller die cut in the Silhouette Store, design #24922. This shape would also make a really fun shaped card. 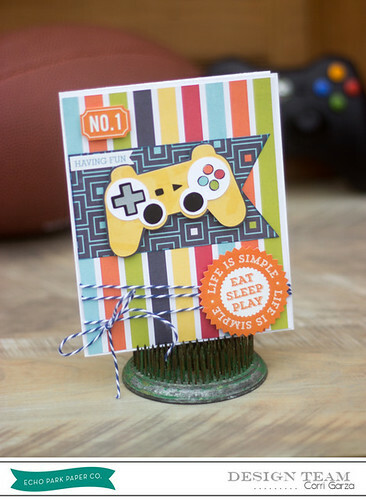 I added some twine and a few stickers from the collection to finish off this quick card. Head on over to the Echo Park Blog to check out my other cards.